Miele was founded in 1899 by Carl Miele and Reinhard Zinkann. Since then it has always been a family-owned, family-run company now in its fourth generation. Since the founding days, Miele’s been guided by a mantra, a vision, to be “Immer Besser”. Translated from German, these words mean “Always Better” or "Forever Better". Miele truly believes in spirit of these words and in keeping with the patriarchs’ principle, Miele produces products that are of the highest standards in terms of quality materials and craftsmanship, durability and reliability. While many Authorized Miele Dealers exemplify the spirit of Miele's founding fathers, "Immer Besser" (translated: "Forever Better"), Miele has a particular group of retailers who stand out with an even greater brilliance. These Miele Dealers have proven loyalty to their customers and are rewarded with a unique and exclusive assortment of Miele vacuum cleaners that are sure to appeal to you. They also receive special customer service and sales training, empowering them to better serve the needs of their customers. These special models and training enhance their ability to recommend the best vacuum for their customer's unique needs and preferences. 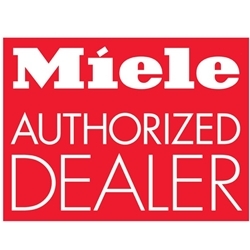 Vacshack.com Inc. is honored to announce our company has been selected to be a Miele Diamond Dealer, the highest rating of all Miele dealers awarded to dealers that offer excellence in customer care, product selection and prices. The Only True Certified HEPA Vacuum! Miele's pioneering spirit is the result of four generations of quality without compromise. With precision German engineering Miele uses only the finest materials coupled with the latest, most advanced manufacturing technology. Miele produces advanced products that are quiet, safe, reliable, easy-to-use and energy efficient. VacShack.com specializes in Miele Vacuums and Cleaning Products. We offer the best prices on the web along with unsurpassed customer service. Our product knowledge is second to none. If you have any questions regarding Miele products, feel free to give us a call at 405-491-9500 9 to 5 central time, and one of our representatives will be happy to assist you.